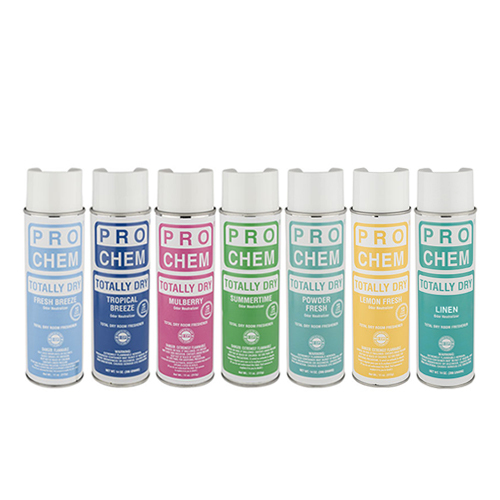 TOTALLY DRY | Pro Chem, Inc. TOTALLY DRY is a completely dry spray with a dual odor counteractant system. It quickly eliminates foul odors and leaves a light, pleasant fragrance that freshens the air. It effectively neutralizes smoke, organic decay and more. This ultra-fine particulate spray spreads evenly, treating large areas in seconds without fallout or staining. To deodorize air: Spray wherever odors occur. Allow a few seconds for fragrance to bloom.